Mozzarella and Marinara: An Irish Girl’s Attempt at Italian | Bloom. ← Natural, Roasted Chicken. It’s What’s for Dinner. There is a little part of me that has always -secretly- wished I was Italian. My name is Claire, after County Clare in Ireland. My sister is Kerry, after County Kerry (the home of Dublin). And my brother is Danny… Danny Boy. My maiden name? Sullivan. 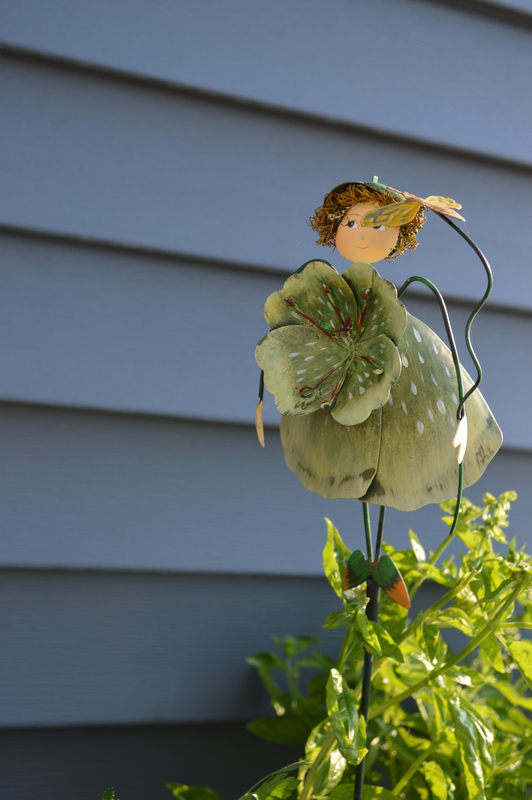 As a housewarming gift my dad gave me this little garden fairy. Let’s be serious for a quick second… The “Luck of the Irish” is not exactly what anyone wants in their garden. The Irish are famously bad at gardening. Umm, hello?! That’s why we are all here. Not to mention, we are not that good on the culinary front. Outside of Shepard’s Pie and Guinness, it’s pretty bleak. Don’t even try to argue with me on this one. Especially with Irish Soda Bread. She knew something I didn’t know. But, I was excited. Soda and bread? Mixed together? My ancestors had it right! On top of the weird flavor in something that looked like a dessert, there were raisins in there. Yuck. I have been to Italy twice and, despite my Irish roots, I couldn’t help but fall in love with their lifestyle and food culture. The fresh, light food. The importance and enjoyment of a meal. The wine. The gelato. At times it has felt like I was meant to be there. And with my dark skin and dark hair I could maybe pull it off? At Trevi Fountain cerca 2008; caught by papparazzo Dad. So, last week I decided to give Italian my best effort. With tomatoes flowing from the garden I was confident this would be great. 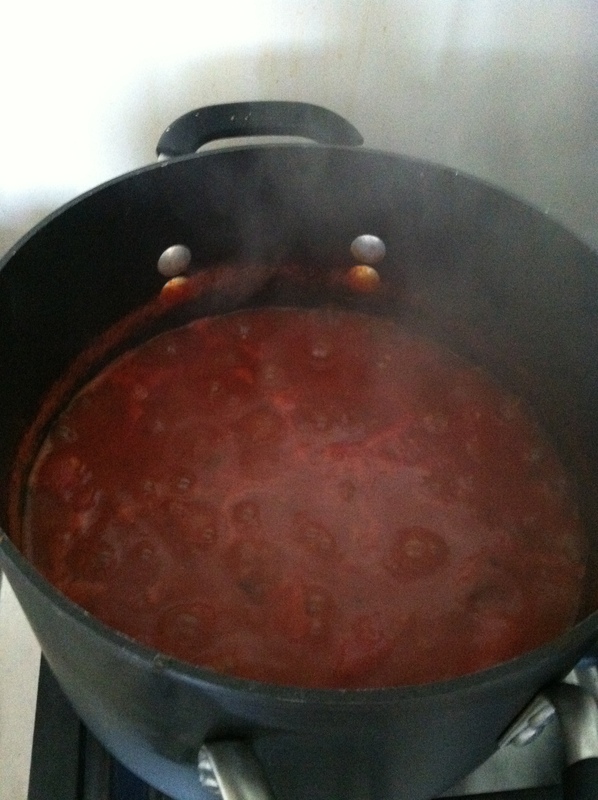 I started my Italian adventure with canning marinara sauce made completely from scratch. 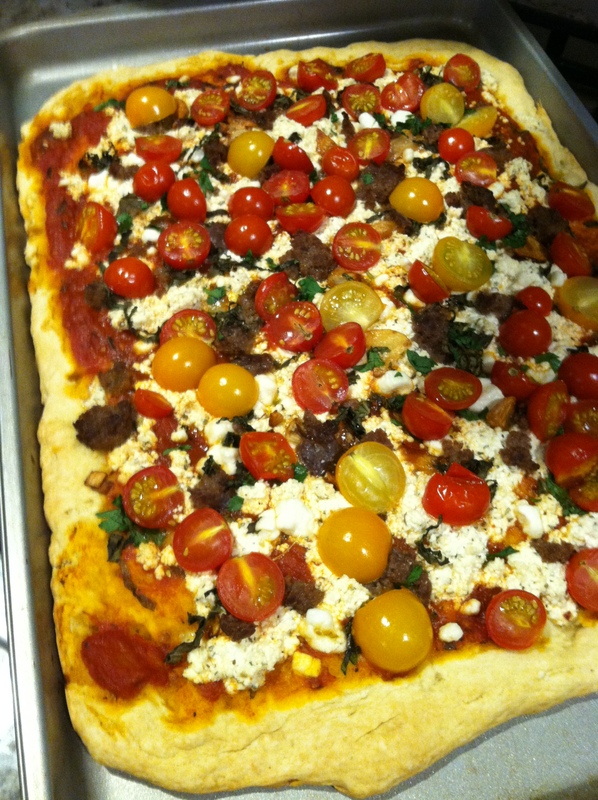 I chose it because it featured lots of fresh herbs like parsley and basil. 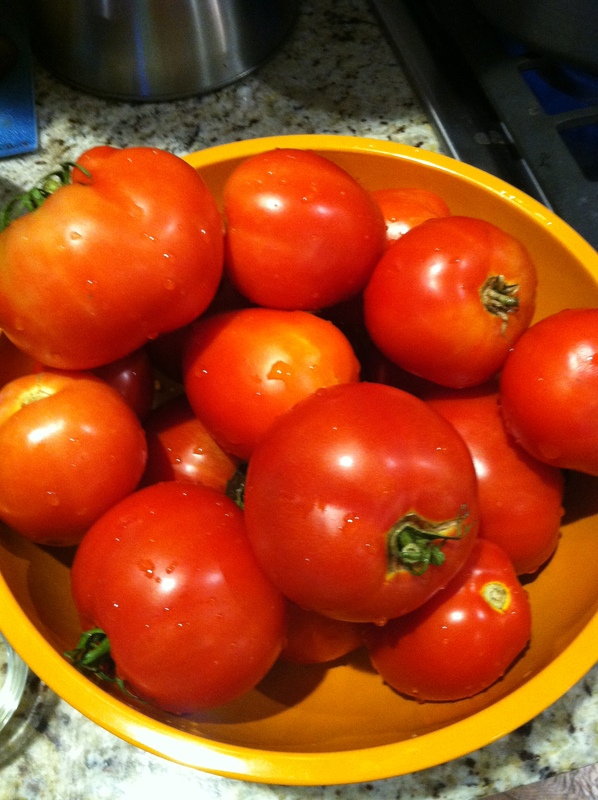 I was excited to use these in addition to the tomatoes from the backyard. 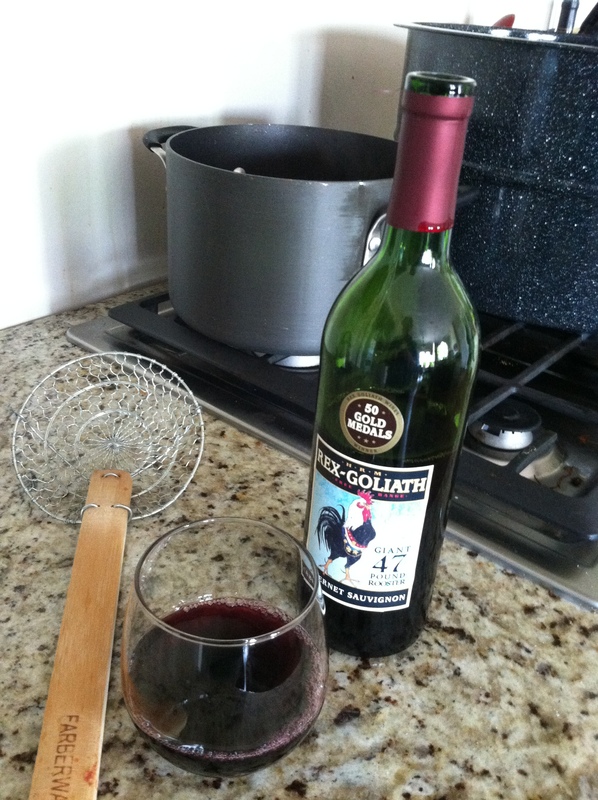 The recipe also called for a cup of red wine, which obviously called for a cup for me too. I figured this was what a true Italian would do. This marinara is flavorful and sweet. I am excited to have it in the pantry for quick weeknight dinners in the winter. 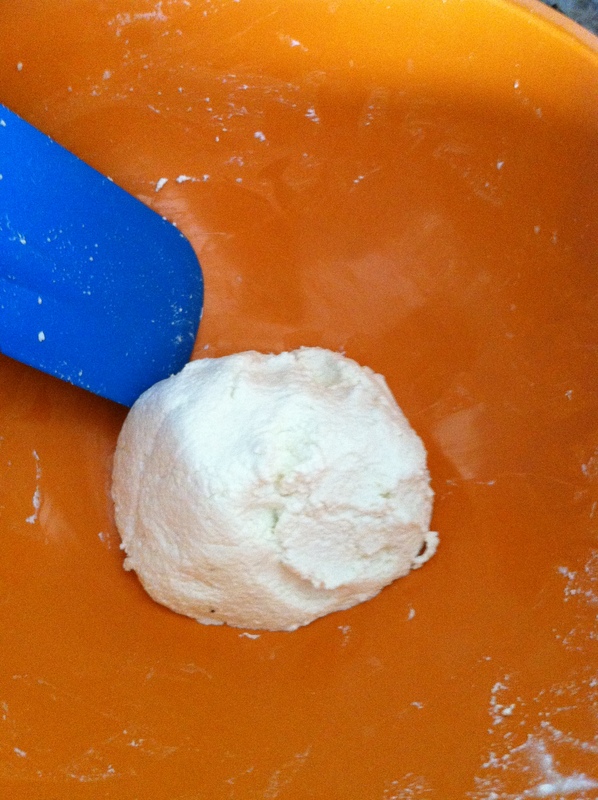 The Italian adventure I was most eager to try was making mozzarella. I know, it sounds crazy, and a little ambitious, but I really wanted to make a caprese salad with my tomatoes, my basil and my mozzarella. In Animal, Vegetable, Miracle, Barbara Kingsolver writes about a family vacation when they visit “The Cheese Queen.” She was located in New England, and while there, they all learned to make mozzarella. Ever since reading the book last winter, I had been looking forward to making my own mozzarella. The Cheese Queen is a woman named, Ricki Carroll. Ricki has established a true name for herself in the world of making cheese. She puts on workshops in her Massachusetts home for new and experienced cheese makers. She also sells cheese making supplies and kits online. 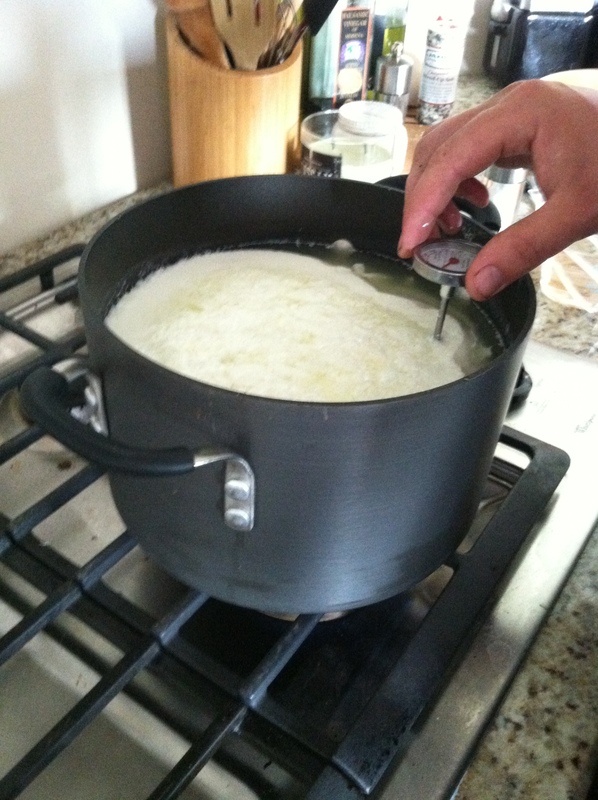 I purchased the citric acid and rennet on her website that I needed to make mozzarella. After the supplies arrived at my post office, I couldn’t wait to get started. I went straight to the grocery store to grab a gallon of milk and head to my kitchen. Making mozzarella is a little scientific. You have to dilute the citric acid and rennet in water before adding it to the milk. The temperature has to be controlled, and the milk cannot get too hot, too fast. Thank goodness Adam was willing to help. It requires a lot of hands at the stove. By the time I got to the point where we “cut the cheese” (…which Ree and her friends thought was hilarious. My friends –embarrassingly- would too), I knew we were doing something wrong. The cheese wasn’t becoming solid. It was runny and resembled ricotta when I tried to drain it from the whey. I had a lump of cheese that didn’t want to hold together and by no means was mozzarella. It did taste like cheese. The blog world said at this point we had cheese spread. So I added some seasonings, busted out some crackers and another glass of wine and sat down at the computer with Adam to see what we had done wrong. Ten minutes later Adam and I looked up from our designated screens. “You want to try again?” I asked. “Yes,” Adam responded without hesitation. Adam went back to the store to get more milk and I prepared the stove top. We made it to the “cutting the cheese” step, same result. We read that over pasturized milk can be the problem. Whole milk is a necessity, which we had been using all along. This “cheese spread” became part our dinner as I whipped up a quick pizza using a splash of the marinara that didn’t fit into the canning jars, cherry tomatoes, and basil from the backyard. Overcome with determination, I arrived at a natural food store the next morning ten minutes before they opened. I bought the most expensive gallon of milk I had ever bought in my life. It was from a local Indiana dairy and had minimal processing. “This is it,” I excitedly thought as I got to work back at home. Grainy cheese curds that wouldn’t come together. Now I really did resemble an Italian lady. “Fired up” was the best way to describe me. I had not had so much trouble trying to make anything since a lab in college where I had to make chocolate mousse with chocolate (… that I had to chop off the largest, most dense block of chocolate ever) and eggs on an industrial kitchen double boiler. I continually wound up with chocolate scrambled eggs. YUCK. I remembered the gallons of raw milk at the natural food store. Raw milk isn’t processed at all. It is straight from the cow. It had to work, so I went back to the store to give it a try. I continued to talk myself into the $8.00 purchase by saying this is probably what cheese mongers in Italy use too. Raw milk is actually illegal in Indiana for human consumption. As scary as it was reading that on the label, I got to work. I figured I was altering the milk. The heat would kill anything lingering in there… right?! Within twenty minutes I had the same blob I had seen three other times. This cheese blob was thrown in the corn. Mainly out of frustration… and, if we are being honest, a little bit out of concern of the illegal raw milk. So, all in all, my attempt at being an authentic Italian was a failure. But, what is so great about being an Irish American is that I can still enjoy the Italian food I love without having to pretend to be anyone. 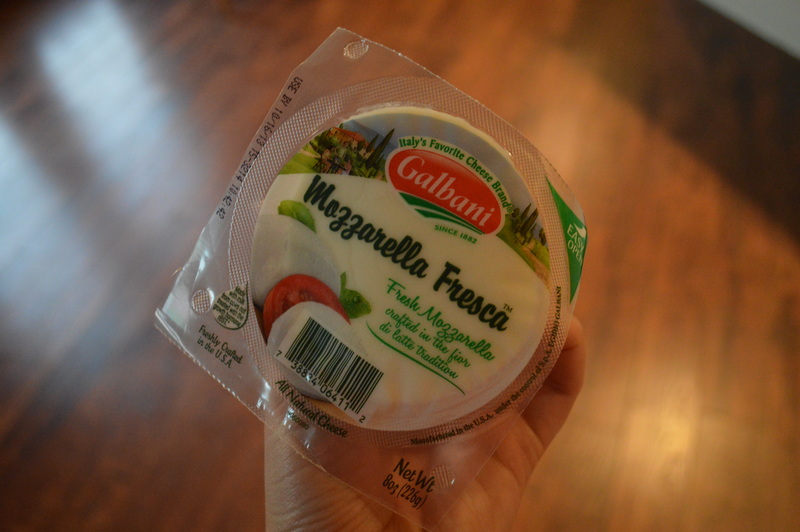 … And, that the grocery store sells mozzarella year round for less than a gallon of raw milk. 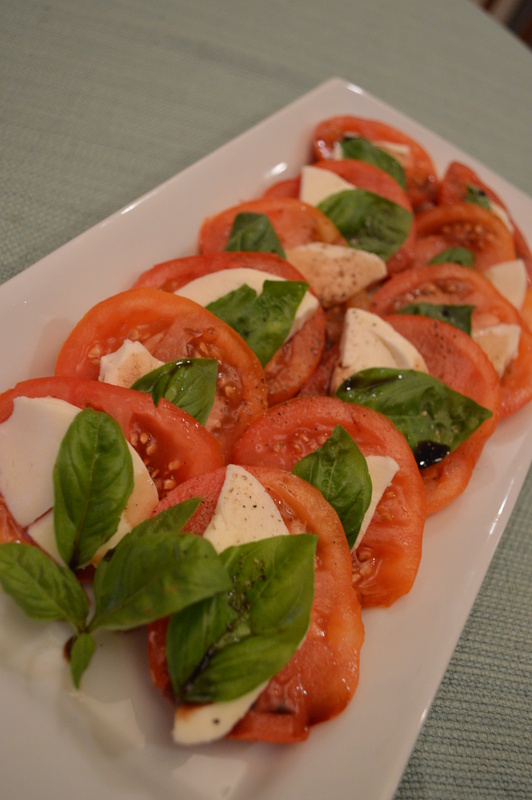 You could say that I can have my caprese and eat it too. … and so I did. And if that’s the Irish Food Culture, I am proud to be a part of it, and I know it’s where I am meant to be.